BMW aims to keep its position as the world's top-selling luxury brand, selling 2 million cars a year by 2020, up from a forecast 1.6 million this year. The German automaker has ambitious plans to expand its core BMW lineup, as well as its Mini and Rolls-Royce brands. 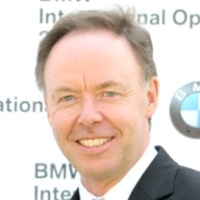 BMW is also reviewing the goals of its strategic plan, says sales and marketing chief Ian Robertson. He talked about BMW's goals with Automotive News Europe Editor-in-Chief Harald Hamprecht. How will you defend your No. 1 position in the premium segment? First of all, our financial performance speaks for itself in the first half of this year. Our product cycle is entering a phase of rapid change, both on the conventional side with the 1 series and 3 series in launch mode and with more additional derivatives than in the past. And on top, there will also be the BMW i products that are 'born electric' and not just conversions. 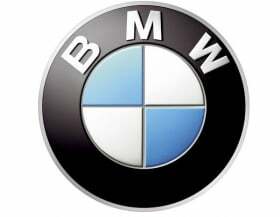 In my opinion, we will really set ourselves apart from the competition with the BMW i brand. Overall, our position looks very good and the decisions we made within our Strategy Number ONE at the end of 2007 are now bearing fruit. But there are dark clouds on the horizon. This is true, whether you look at the U.S. or at Europe. Europe is actually a tale of north and south and the border of where north and south falls is moving. I was looking at the statistics for June in Greece and the market is almost non-existent, with both the Spanish and the Italian market being very challenging. On top of that, the interdependency of global economies is far greater than it has ever been. Ten years ago you could say, well if it goes down in Europe, then it does not necessarily affect Asia. We are now entering a phase of extreme volatility, both in terms of currency and economic situations, also in terms of raw material costs, as well as with legislative frameworks, together with increasing competition. Therefore the ability to respond to this is probably tougher then it has ever been. How are your sales balanced globally? We are doing very well in our core regions of North America, Europe and China. In the five fastest-growing markets outside those regions – the BRIKT markets (Brazil, Russia, India, Korea and Turkey) – we are doing extremely well. China is now our third largest market, but we are clearly not dependent on just one area. One of my strategic objectives is that we balance our performance across the globe, with the clear objective to be premium segment leader around the world rather than in just one region. What other growth regions have you identified? The so-called 'next ten' are a little more difficult to define – some fit the bill, others are not on the radar yet, and in some we have stepped back a bit – like the Maghreb (Morocco, Algeria, Tunisia, Libya and Mauritania) which is at the moment politically quite challenging. Will it come back? I would say yes, but when? That's a different question. But again, from a product, market and strategic technology point of view, BMW has the right ingredients to face a volatile, challenging environment that the world is entering. How far can you grow your sales without diluting your premium image? Our revised guidance for this year is 1.6 million units and we have set a strategic objective to achieve two million by 2020. The global car market this year will be around 70 million vehicles and the premium segment will be somewhere around 5 million vehicles, so it is still a small percentage of the overall car market. "We have the clear objective to stay the most successful premium manufacturer," BMW sales boss Robertson says. How will you defend your position as the world's top luxury automaker against Mercedes-Benz and Audi? We intend to lead the premium segment this year and of course that is also our goal for the future, with vehicle sales and mobility services, together with a sustainable 8 percent to 10 percent profit margin. We are currently reviewing our Strategy Number ONE objectives and we are on target for the objectives we gave as guidance in 2007. Our strategy clearly helped us to overcome the crisis, as we focused on our overall cost structure, development process, new markets and new technologies, such as Project i. After a period of review in the last six months with much external information and intellectual horsepower, we have concluded that our strategies were correct and focused in the right direction. However the volatility today is much higher and we are asking ourselves, what do we now need to ensure the next step? We will crystallize some of that in the near future and work out more concrete definitions. We are clearly looking forward rather than over our shoulder. You can expect that we have the clear objective to stay the most successful premium manufacturer, with even more focus on and speed of delivering alternative powertrains. You can also expect us to have a focus with regard to future retail and the changes that involves. How will car retailing evolve? We have looked at other industries that have elements of successful retail, and for us, it will mean new ways of doing business and very clearly involve the digital environment. We have found, and will continue to find, different solutions for the selling of our broadening range of products. The old retail model looks like this: Customers enter a dealership, receive more information, take a test drive and sooner or later they buy a car. That's going to change. Most customers have all the information they need from the Internet and as such the dealership, in many respects, becomes the final stage rather than the start of the process. The way in which the sales environment responds to that, and the capabilities to handle all the information, will be different. Even the test drive process will change. It is already a problem today and the product range is going to broaden. Some parts of the information process can be virtual, but not all of it. In my opinion, given the high purchase price of a car, it is still essential to sit behind the wheel and to drive it. I do not see a change in that any time soon. But the traditional buying and owning a car and having it serviced could be different – especially with our BMW i products. For example, the i3 does not need as much servicing and its technology will limit the amount of people, at least initially, who are able to handle it. By entering a segment below the 1 series with the i3, are you stretching the brand too far? Can this still be premium? For us, premium is not defined by the dimensions of a vehicle. It is defined by product substance, as well as design, innovation and services and most importantly, the brand. Even if you stick to your goal of 2 million car sales by 2020. How many new production and CKD plants do you need, and where? By and large, CKD plants allow market entry and full production plants can evolve from these over time. We enjoy a situation that all of our plants are running at very high capacity utilization. In China we are currently extending capacity with the construction of a second plant to 150,000 vehicles in 2012 and up to 300,000 units in the long-term. In India, the local production capacity at the BMW plant in Chennai has been increased from 3,000 to 5,400 units and in a further step, it will be increased to 8,000 units. We are looking to extend our operations in Russia and we are also looking for a potential site in South America. All in all, we have a number of strategic plant developments underway that will ensure we have the capacity to meet the future demand curve. And the CKD plant will most probably be in Brazil. That could well be. We will make a decision in autumn. How will you expand your U.S. plant in Spartanburg? We enjoy a high demand for our X vehicles. The delivery time in Germany is currently quite long. For example, with the X3 you would have to wait about six to eight months, and a bit less for the X5. In order to match the increasing demand, we are expanding the capacity of our Spartanburg plant to around 270,000 vehicles this year. In the future, we also have the ability to extend further relatively quickly thanks to a flexible building structure. We are equally confident that the U.S. market will continue to grow. It is not yet in full recovery mode, but we are enjoying success with our new models. We are leading the segment for the first time in the last 12 years and we will defend that position. Will you build a sedan in Spartanburg such as the 3 series? The sedan segment is strong in the U.S., as we see with the BMW 5 series, which is enjoying a great deal of success. And we will strengthen our sales in the U.S. even more with the recently launched BMW 535i xDrive. The U.S. is not only a strong SAV market, but also in the snow-belt line from Philadelphia to Colorado, it's strong for 4wd sedans as well. In essence, we want to produce our models in those markets where you see a predominance of their positioning. So yes, in an ideal world, one could produce a sedan with awd in Spartanburg. But there are no clear plans at this point of time. Audi wants to increase its model lineup to 50 from 42. How many new variants will you bring to market at least by 2020. A lot. With our UKL (front-wheel-drive platform) alone, there will be six to nine new models in the coming years. Many of these will also be created with existing lineups. And BMW has proven that it is strong in identifying and developing new segments that are unexplored by other companies, as with the X1. What role does Mini play in your portfolio? Mini will have an all-time sales record this year. Clearly the Countryman plays a big role in that success story and it is particularly encouraging that Mini has a strong retail customer base around the world. And you want to expand the portfolio? Right. There is the Coupe coming in October this year and the Roadster coming in 2012, plus a coupe version of the Countryman coming after that. So the brand continues to evolve. Given our UKL strategy, the opportunities will be even greater in the future than in the past. You sold 132,000 Minis by June. What sales will you achieve in the full year? That is obviously still some months away, but it will be a record of all records. The Mini momentum is running. Will you break the 300,000 units that originally has been your mid-term goal? I do not think we will make 300,000 exactly this year. But if you double the half year's figures, you won't be far from the full year's result for Mini. From the two million units you want to sell in 2020 the latest, how many Minis will be included in that figure? 400,000? We have not announced this yet. Needless to say, we want to continue to see the brand grow and that is why we are adding new models. That's also why we are investing the lion's share of our recently announced 500 million GBP in our Mini plant in Oxford. Together with our dealers, we are also investing strongly to provide independent facilities for Mini, for instance in the U.S. And we aim to grow strongly in rapidly growing economies such as Korea and Brazil. Will you stick to Magna Steyr as your production partner for the Countryman? Magna is very flexible and our relationship with them is very successful. It goes back to the first generation of the BMW X3. How far will you expand the Oxford plant? We are investing another 500 million GBP in the UK, the majority, as I mentioned, in our Oxford plant for new models and the next generation of Mini. That will take the plant to a capacity of around 250,000 to 260,000 units. How far will the portfolio be expanded? When will we see a baby Mini and a Mini bus? We are in the nice position of having more good ideas than resources to put them in place. What I can clearly say is that the family will continue to expand into new niches. As of when can we expect additional family members for the BMW i brand? We set two bookends with the i3 and i8 that will be launched in late 2013/2014 and we'll take it from there. We don't have any firm plans for additional models, but plenty of ideas. One thing is for certain: The development of alternative power trains is here to stay. The legislation is coming in Europe, in the U.S. and most definitely in China. Ultimately, there will be some form of hybridization for a vast majority of the cars we will produce. Will these megacity vehicles be cars for the mega rich? Initially we are talking lower volumes, particularly for the i8 sports car, albeit you could see more of them in some of the wealthier spots around the world. The i3 will have more volume, which I guess could be comparable to one of the lower-volume Mini models. It is strongly dependent on legislation – especially local ones in cities, which will probably be more aggressive than national requirements. And the good news is that we have flexible production systems that are able to ramp up in relatively short time. What is the production capacity of the i3? When will we see the baby BMW below the 1 series on the market? We are developing the UKL platform which will be the architecture for smaller BMWs and Minis. The first out of the platform will be a Mini. In addition, there will be many derivatives that are not necessarily all small. What this means is that we will be in a segment that BMW currently does not operate in and we will be creating quite a wide range. What additional sales volume will we see due to the UKL architecture? The UKL part of the premium segment is growing faster than the larger, more mature premium segments. Many of the newer, faster growing markets have a hunger for smaller cars as well as an aspiration for premium in a small car package. As a result we will see incremental volume. And an overlap with existing lineup. This is normal. We will also enter some new segments without too much substitution. How will the Mini dealer network develop? Last year, we had around 1,500 dealers and we will expand this number. In the U.S. for example, we are adding 20 dealers right now. In China we are opening a new dealership every week for BMW and many will also be Mini. We also have fast growth in Brazil and Korea. We aim to have a Mini sales and service that is separated from BMW, wherever this is viable. With the growth of the family and the fleet, the aftersales and service become a great opportunity for our dealers. What are your plans for Rolls-Royce? A few new Rolls-Royce dealers will be added to the current 81 dealers worldwide, including a couple of new ones in the U.S., China, Europe, and in the most important growth markets. Viability is an important issue here. Many Rolls-Royce dealers share their facilities with other luxury brands. In terms of the current sales volume, that is fine. What product news can we expect? We have ideas for new models - you will be surprised. And we are evolving the design language. This year, the brand is poised to enjoy its most successful year in history. By June, you sold 1,592 Rolls-Royce cars. Will you double that by year's end? All three BMW Group brands, including Rolls-Royce, will have a record year this year. But obviously it depends on the world economic situation. At the end of the day, the final number is not that important. We have a clear focus on satisfying our customer demand and remaining profitable. And we are doing very well there. If the momentum continues, we will definitely sell more than last year's 2,722 units. What long-term potential do you see for Rolls-Royce? It is always going to be a small volume, as you do not want to have too many on the road. We do not want to become too visible – like one or two of our competitors who over-supplied the market and are paying the price for it now. We will not make this mistake – with any of our three brands.